At the Northern Ireland Office (NIO) Lord Windlesham was replaced by Lord Belstead as the government spokesman on Northern Ireland. David Howell became Minister of State at Stormont. Brendan McNamee (22), then a member of the Irish National Liberation Army (INLA), was shot dead by members of the Official Irish Republican Army (OIRA) in the continuing feud between the OIRA and the INLA. The Ulster Volunteer Force (UVF) carried out a gun attack on the Chlorane Bar, Gresham Street, Belfast, and killed three Protestant civilians and two Catholic civilians. In a separate bomb attack on the International Bar, Portaferry, County Down, the UVF killed a Catholic civilian. Republican paramilitaries carried out a bomb attack on the Times Bar, York Road, Belfast, killing two Protestant civilians. A member of Sinn Féin (SF) was shot dead by the Ulster Freedom Fighters (UFF), a covername for the Ulster Defence Association (UDA), at Camberwell Terrace, Belfast. Roy Mason, then Secretary of State for Northern Ireland, asked Amnesty International to delay publication of a report it had written into alleged ill-treatment of detainees at Castlereagh detention centre. George Seawright, then a Belfast councillor and Loyalist, told a meeting of the Belfast Education and Library Board that Catholics and their priests should be incinerated. Three Royal Ulster Constabulary (RUC) officers were acquitted of the murder of Eugene Toman (21) in 1982. Toman was a member of the Irish Republican Army (IRA) at the time but was unarmed when shot at an RUC vehicle check point. Two other IRA members were shot dead in the same incident. 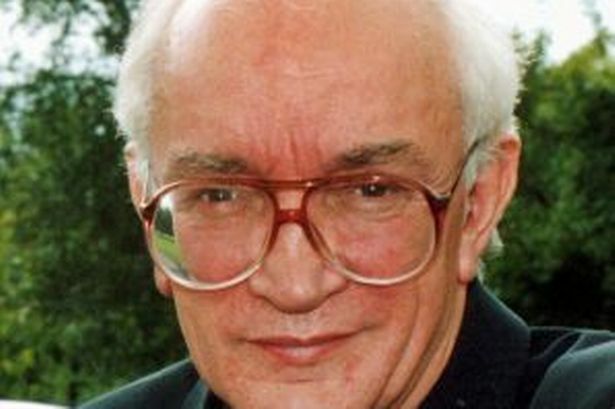 John Stalker, then Deputy Chief Constable of the Greater Manchester Police, was removed from the investigation into the alleged ‘shoot-to-kill’ policy of the security forces in Northern Ireland. Colin Sampson, then Chief Constable of West Yorkshire, took over the investigation. Patrick Ryan, a Catholic priest from the Republic of Ireland, was arrested in Brussels. He was accused of providing support for the Irish Republican Army (IRA) . The main political parties in Northern Ireland agreed to the start of the main political talks (later known as the Brooke / Mayhew talks) on 17 June 1991. Following three days of talks the British and Irish Governments agreed ground rules for all-party talks. The three members of the International Body on Arms Decommissioning, George Mitchell, John de Chastelain, and Harri Holkeri, were to chair various strands of the proposed talks. The Irish Republican Army (IRA) issued a statement that a new ceasefire was “remote in the extreme”. The British government published the Northern Ireland (Sentences) Bill. Elizabeth O’Neill (59) was killed when Loyalist paramilitaries carried out a pipe-bomb attack on her home in the Corcrain estate in Portadown, County Armagh. Mrs O’Neill was a Protestant who was married to a Catholic. The bomb was thrown through the window of the O’Neill home and it is believed that Mrs O’Neill was killed as she tried to carry it out of the house. David Trimble, then leader of the Ulster Unionist Party (UUP), cancelled a planned trip to Israel because of the killing and described it as an attempt to derail efforts to resolve the Drumcree parade crisis. A blast bomb exploded in another Catholic home in Westland Road, Portadown. A woman was inside with her 10-month-old baby and sister, aged 17. No one is injured. A pipe-bomb was made safe after it was discovered at a house in the Catholic Short Strand area of east Belfast. Several families were evacuated from their homes in Twinbrook, west Belfast while the Army dealt with two pipe-bombs. According to residents in the Acacia Avenue flats the devices had been lying for several hours in an area where children play before being discovered just before lunchtime. Pipe-bombs were thrown at Catholic homes in Castlewellan, County Down and in East Belfast. 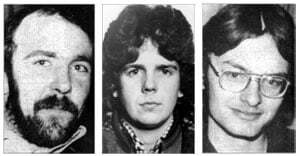 All the attacks were carried out by Loyalist paramilitaries. Proximity talks between the Orange Order and representatives of the Garvaghy Road Residents’ Coalition (GRRC) stalled as the Orange Order representatives accused Frank Blair, then of the Advisory, Conciliation and Arbitration Service (ACAS), of “complete bias”. The Northern Ireland Assembly met for the first time since it was suspended on 12 February 2000. Shot from passing car while on Royal Ulster Constabulary (RUC) foot patrol, Belmore Street, Enniskillen, County Fermanagh. Found shot by the side of Old Monaghan Road, near Clogher, County Tyrone. 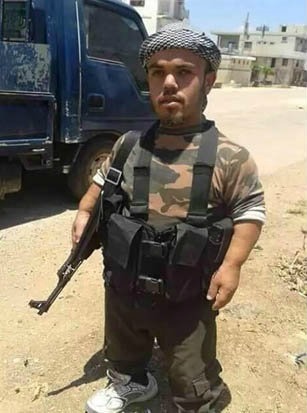 Alleged informer. Shot by sniper while on British Army (BA) foot patrol, Irish Street, Dungannon, County Tyrone. Shot outside mobile chip van, Stewartstown Road, Suffolk, Belfast. Official Irish Republican Army (OIRA) / Irish National Liberation Army (INLA) feud. Sinn Fein (SF) member. Shot at his home, Camberwell Terrace, off Antrim Road, Belfast. Killed in bomb attack on Times Bar, York Road, Belfast. Shot during gun attack on Chlorane Bar, Gresham Street, Belfast. Killed in bomb attack on International Bar, Portaferry, County Down. Off duty. Shot while delivering coal, Lisnaskea, County Fermanagh.